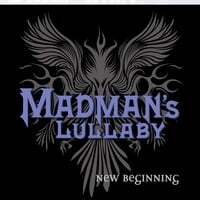 "New Beginning" is the NEW Hard driving CD from MADMAN'S LULLABY follow up to 2007 "Unchain My Soul"...after a couple member changes Madman's ROARS back with a KILLER follow up!! cups of coffee – mind-bending head-banging metal. the like… Then Madman’s Lullaby is in da hood!!! hello to my little friend with this molten pot of wicked metal”.